Sharing a bathroom with roommates can lead to hairy situations. . . literally. Keep pipes clear with this flexible, silicone hair drain catcher. You'll hardly notice it is there, but you will notice your drain is never clogged and that is its own relief. Ladies, how many of you actually wash your makeup brushes regularly? I don't see many hands. This silicone mitt will make cleaning those brushes a lot easier and might actually remind you to clean them in the first place. You can extend the life of costly cosmetic brushes and wash away bacteria in one clean sweep. We're college students. We are not swimming in cash. So why buy several notebooks, when you can just buy one? This dry erase notebook never runs out of pages. Sketch, draw, and list your ideas—the hypergloss film and pen limit smudging and encourage many, many drafts. It looks like your classic vegan leather journal from the outside, but inside it's an eco-friendly and mistake-friendly solution. Athletes: if you've ever had your legs taped up with ice after a tough practice or game, chances are you've had the ice bags fall down the second you move. Fret no more. This reusable, stick-on cold pack allows you to sit back and relax OR move around while icing sore muscles and joints. Anyone who has ever used a hair dryer or a hot styling tool like a curling or flat iron knows how hard it is to find a safe, secure place to set it down. 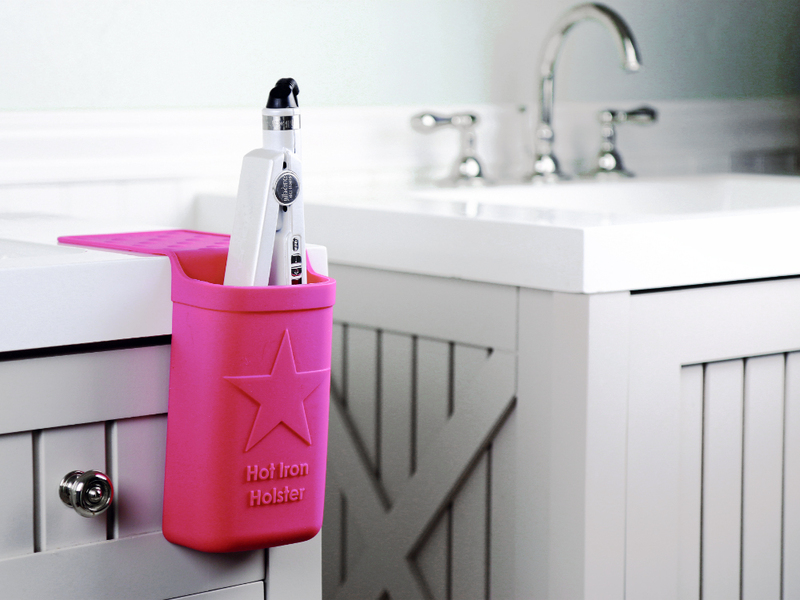 This portable silicone holder for hot styling tools, hair brushes, and accessories that hangs on your bathroom sink is your safe, secure place. Those egg-shaped beauty blenders you find in department stores pale in comparison to this silicone makeup sponge. It’s anti-microbial, nonabsorbing, and it glides over your skin for a smooth, streak-free finish. It’s a cleaner, easier, more economical way to apply makeup (or lotion) with a flawless, almost-airbrushed look. What else do you want? For more Back to School ideas, check out our Gadgets for Students collection.